What is a good warm-up drill for my players? Dave Wright Dave is a UEFA A licensed coach and Co-Founder of Player Development Project. He has 17 years’ coaching experience in England, Australia and New Zealand with players at all levels. During five years in the UK, Dave worked for Premier League club, Fulham FC and Championship club, Brentford FC. Dave is now working at A-League club, Melbourne Victory FC as U20 Coach. Dave’s eBook, Performance Soccer Coach: A Guide to Positive Player Development is available on Amazon. 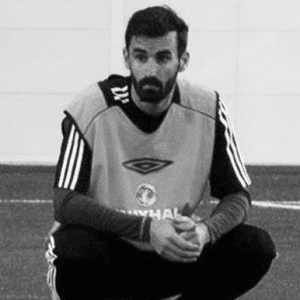 Dave is a UEFA A licensed coach and Co-Founder of Player Development Project. He has 17 years’ coaching experience in England, Australia and New Zealand with players at all levels. During five years in the UK, Dave worked for Premier League club, Fulham FC and Championship club, Brentford FC. Dave is now working at A-League club, Melbourne Victory FC as U20 Coach. Dave’s eBook, Performance Soccer Coach: A Guide to Positive Player Development is available on Amazon.